Justin Beiber and Hailey Baldwin sneakily got married and we can't believe it! 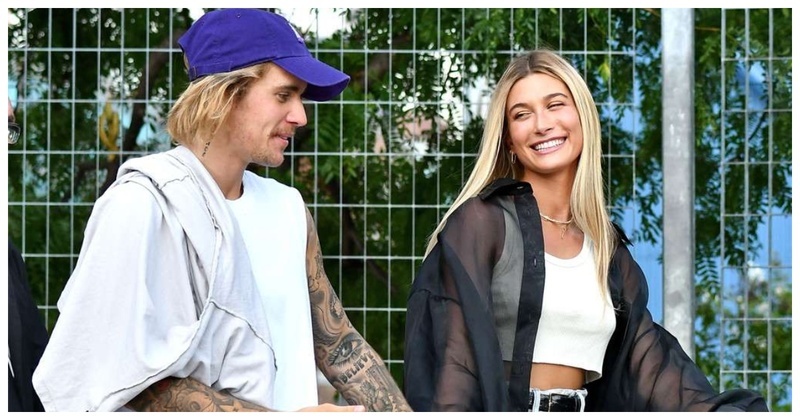 According to a TMZ report, Bieber and Baldwin went to get their marriage license at a New York City courthouse, thus ensuing an Internet flurry. Reportedly, Justin told a court official, "Thanks for keeping it on the DL." While it's not clear if they got the marriage license AND the marriage certificate, People reports it's a done deal. The duo will reportedly have a bigger, more extravagant ceremony later that'll include their friends and family. "They're going to have a big blowout, in front of God and everyone they love," People's anonymous "religious source," said. She also told the magazine that, despite their age, she had no reason to wait to get married to Justin because her parents and her sister all got married relatively young. She also mentioned that she and Justin were not planning to tie the knot until 2019! GEEZ, you legit cannot trust anybody these days! On the stance of whether Justin and Baldwin are Man and Wife yet - it seems like a false alarm, kids. Reason being Hailey tweeted that Justin and her aren't married...YET. She tweeted, "I understand where the speculation is coming from, but I'm not married yet!" Also, if Baldwin and Bieber got a New York marriage license, as reported by TMZ and People, they would legally need to get married in New York state within 60 days. TMZ reported earlier today that the two were planning a ceremony as early as next week, likely in Canada at Bieber's new Ontario estate. So, here’s hoping that Bieber and Baldwin will confirm their full nuptials soon though, wherever and whenever they happen!